Your digital enterprise/job is working, you travel the world and the bank fills up even when you are on a plane. Success allows you to do pretty much what you want, but you're not happy? You've met so many people but don't have any real relationships. You've seen the most beautiful places, but you had no one to share the experience. Quality Coliving is the way of sharing life and work, and form your lasting life long connections. You can become part of a global family, yet you can leave and go on to the next place whenever you choose. 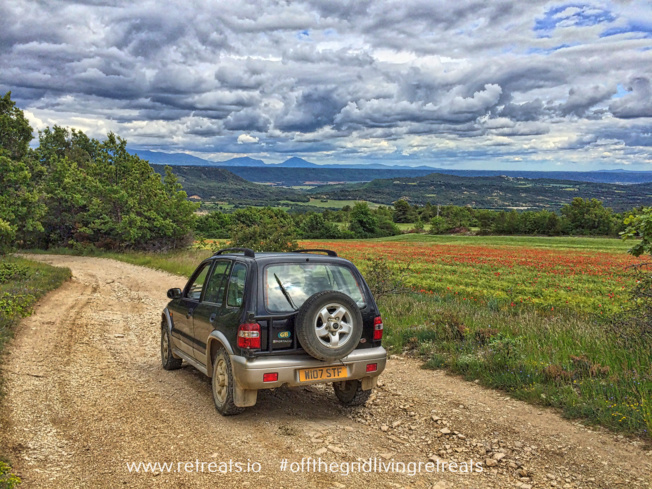 First in Provence is our Retreats coliving base near Forcalquier in Provence South of France. We provide a high-quality family home set in a billionaire like experience, off the grid, astoundingly beautiful natural park (yet readily accessible to the world). You will find lavender, olive plantations, oak forests, mountain views and every aspect of the beauties of nature that you can imagine. Starry skies, unforgettable sun rises and sunsets. The 10 minute drive down the track means that we are only twenty minutes from Forcalquier our nearest main town and bus station. Also, we are only 25 mins from the nearest main Autoroute which will get you anywhere in Europe fast. We supply 4x4s to access the hamlet all year round as we have to cross pure nature on the private track yet the trip is both exhilarating and inspiring. We have private parking at our La Blache starting point, so you are welcome to bring your own vehicle. 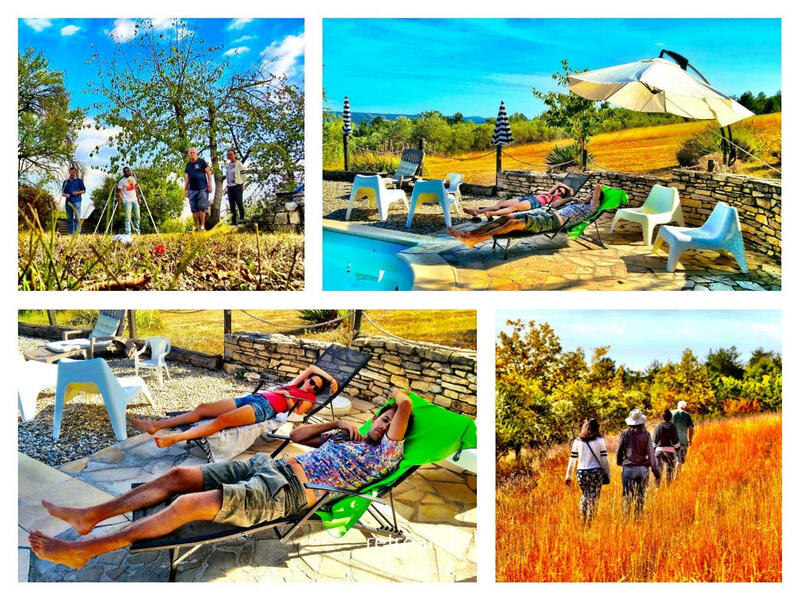 We have had parties of up to groups of 35 here at La Colle en Provence and have had 15 people stay the week, yet we consider the digital coliving house to be most comfortable at 5-10. The retreats base in Provence has everything you need to live comfortably, and we will share many moments and even cook together. Taking in mind everyone's tastes, to complement the harmony and wellness of our retreats we will mainly focus on vegetarian and vegan combinations. There are two kitchens and outside cooking areas therefore if you wish to have meats, please state your preference at the time of booking. We also have local organic lamb grown on our domain. This retreat coliving is based on you having a great, fun experience, and there are many additional things you can do with us (see our activities at the bottom of this page). You will also have time to explore our estate, its woods, prairies and discover its lavender fields, olive plantations and more. If you do not have your own transport, not only do we have our own fleet of 4x4's to get you up and around to the local parking at La Blache but also there is a vehicle that can be used if you have the proper official licences around the local area. The main reason why we supply the offer of proving the groceries is so that you do not have to worry about spending the time going and getting all the essentials for your living leaving you the maximum time to be able to work or play. We have a wish list board for anything that you might like and also you are able if you wish to join in on our shopping trips as well. We know that Coliving is not just about the place and having a good time. The digital life also means working and get better at what you are doing and finding new ways to get over current problems.  We actively promote mentoring and exchanges of knowledge between ourselves and set up specific courses that last a week covering the business and life survival, based on the years of experience of running and setting up businesses. Minimum five days. To get the best from our space one Month or more. Please use the form to make a booking enquiry or check out "concept and prices".